“The risk of not acting is greater than the risk of acting” – said US Secretary of State John Kerry. Is the same true about the situation of IVF children and families? Especially cases that involve international IVF and the entire IVF ecosystem – donors, surrogates, parents and most importantly, the IVF children. Infertility is traumatic but should a solution come at the price of crimes, lies and denial of rights of other human beings? When innocent, voiceless children are being hurt, being abused, maybe someone cares enough to take action and do something about it than just paying lip service. The current climate of lack of laws for international IVF/Surrogacy children is dire. There are international laws for child abduction and child adoption but how come there are no international laws for IVF/surrogate children? In Syria over a period of two years since 2011, more than a 100,000 innocent civilians including children were killed. However, when about 1500 innocent civilians including children were killed in a chemical weapons attack, it calls out to our conscience in a different way, why? 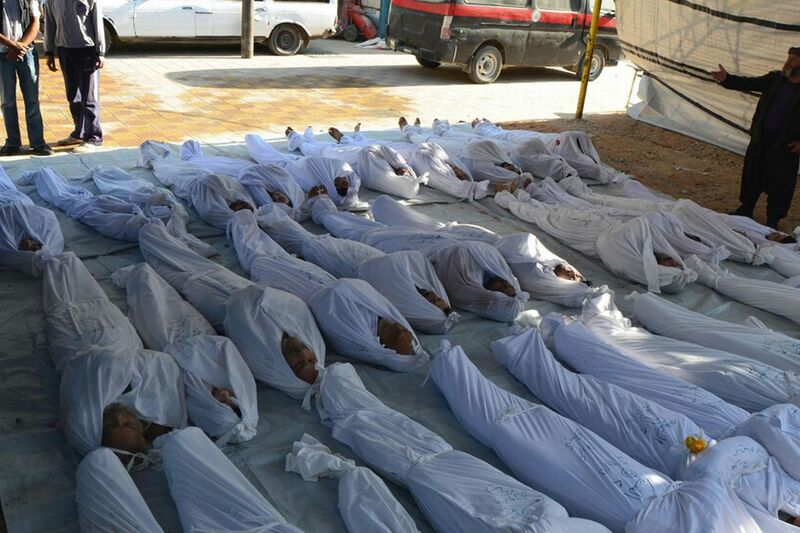 What is so heinous about a chemical weapons attack that killed about 1500 people somehow MORE important than the previous 100,000 innocent lives lost? Or is it a culmination of the last two years and the gruesome way in which the last innocent 1500 humans were killed that calls out to our morality and legality? Is it the final straw that broke the camel’s back? A decade of secrecy and lies can also have a similar effect. When you lie about an intersex surgery and the effects it causes including abuse, when you hurry to have a child not knowing the effects of an intersex surgery, when you lie about the IVF child as being a natural born child, when you break the laws incessantly, when you get abused in silence, it is not the aggregate of all these events but the heinous way in which the innocent, voiceless IVF siblings were SPLIT – does it call out to your morality and legality to take action? Is it the final straw that broke the camel’s back? If the people responsible for this heinous chemical attack are not held accountable, is the risk they will REPEAT this action or is it a GREATER RISK that someone ELSE will repeat these actions and have no consequences and denial of rights to innocent victims including children? Someone has to speak up and take action even if they are alone. What’s right is right and what’s wrong is wrong. It calls out to our basic human dignity and respect. If an IVF child is abandoned causing DENIAL of rights and a state of LEGAL LIMBO, should the perpetrators be held accountable for this heinous act against the innocent, voiceless IVF child? Is the risk they will REPEAT this action or is it a GREATER RISK that someone ELSE will repeat these actions and have no consequences and denial of rights to innocent victims including children? Someone has to speak up and take action even if they are alone. What’s right is right and what’s wrong is wrong. It calls out to our basic human dignity and respect. Why does an IVF child need to be treated like “property” and go unchecked? While the innocent civilians including children died an unnecessary and a cruel death – the ultimate crime…the innocent IVF children left in LEGAL LIMBO are living an unnecessary and cruel death – what is worse? Because when someone legal status is in limbo, they have no legal rights and hence no justice and no relief as a victim but instead are forced to LIVE in silence and become invisible. Their basic human dignity and respect as a human being is denied or deleted. Why? Is the risk of not acting greater than the risk of acting for the sake of IVF children and families?